Undercover Canopy's unique new Gravity Stake anchoring system gives you the ultimate in stability and wind resistance, thanks to its adaptive tensioning system that responds to changing wind and environmental pressures. 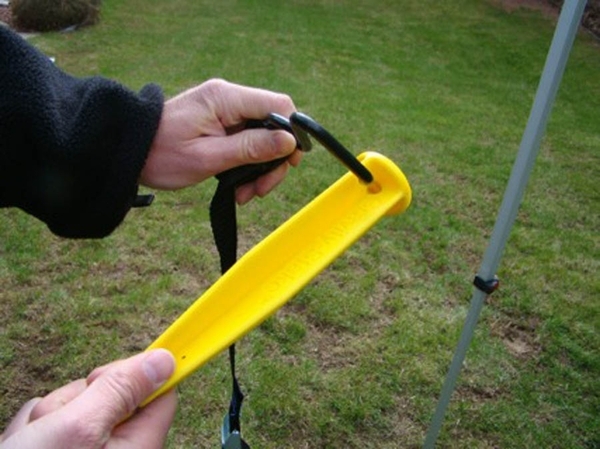 The simple pull down anchoring straps attach to each of your canopy's legs in minutes, providing tensioning stability thanks to the sturdy PVC grounding stakes. 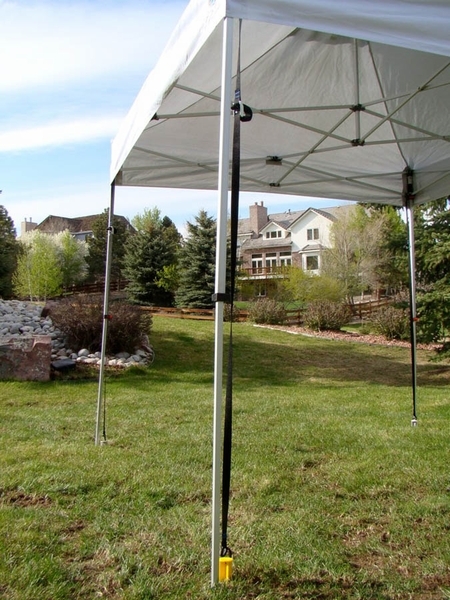 Just attach, fasten, and you're ready to go, with all the added peace of mind that comes from knowing your canopy, tent, or gazebo carries additional stabilizing protection. 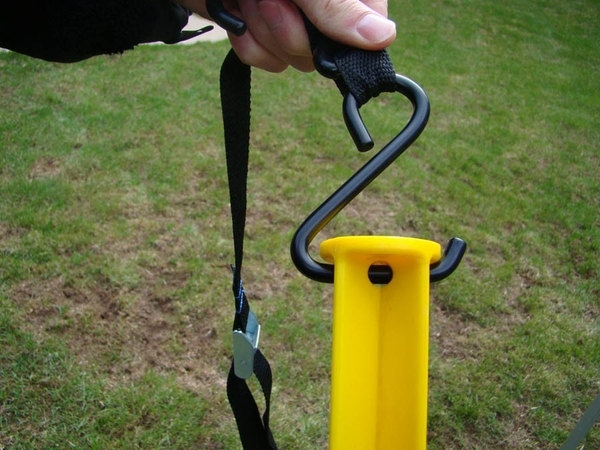 Kit includes four high-durability PVC stakes, four leg-tension straps, and storage bag. * Please Note: Always dismantle canopies in the event of impending severe weather. This product is not intended for use on tarmac, cement, sand, or hardpan surfaces. 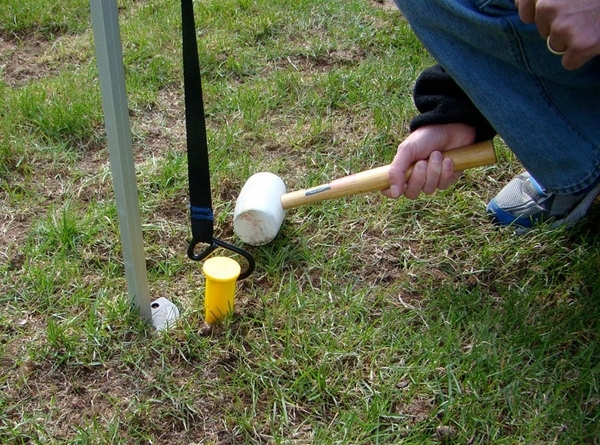 How important are anchoring stakes? Stakes are ideal for anchoring a canopy on grass. 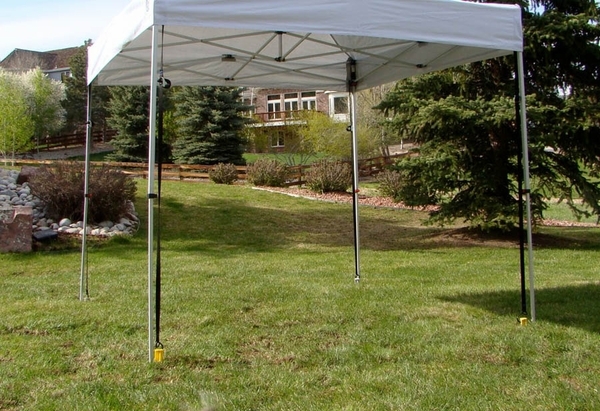 However, most of our canopy package deals include a stake kit, so we recommend one of those if you need a 10' x 10' pop-up canopy. This is the 2nd set of gravity stakes I have purchased. I share a double booth with my sister and we always worry about the wind and weather at night when we are not there. But with using the gravity stakes, we have peace of mind that our tent will still be there when we come back. It is so much easier than using big bulky and HEAVY SAND bags. We love them. ProsDon't need to worry about customers tripping on the stake and tie downs. Easy to use. ConsThe price is a shock at first look, but after using them, it becomes easy to afford them, when you see how easy they work, how quick you can put them up and how nice they look.